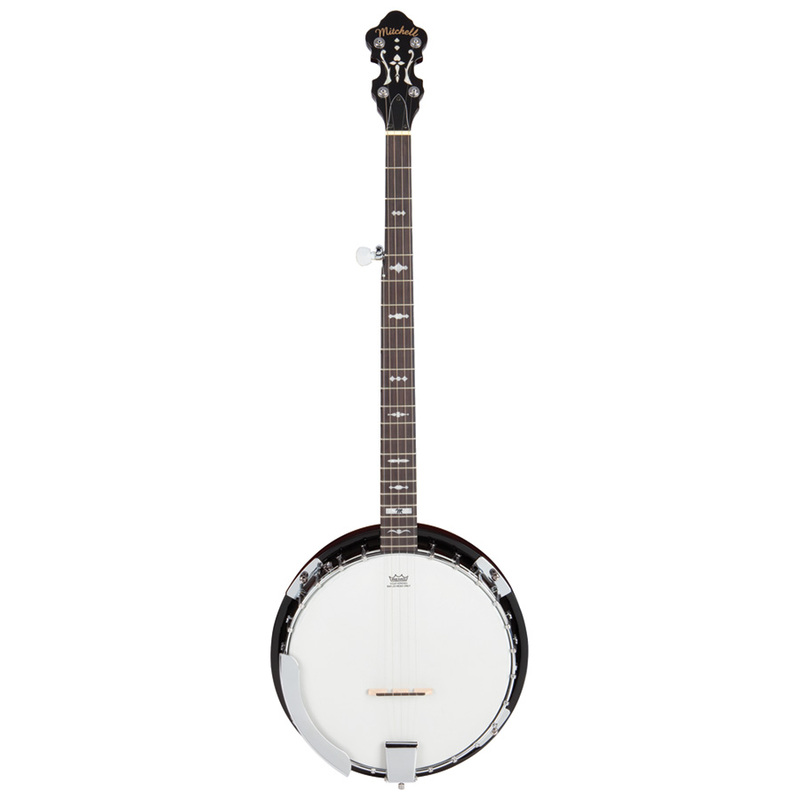 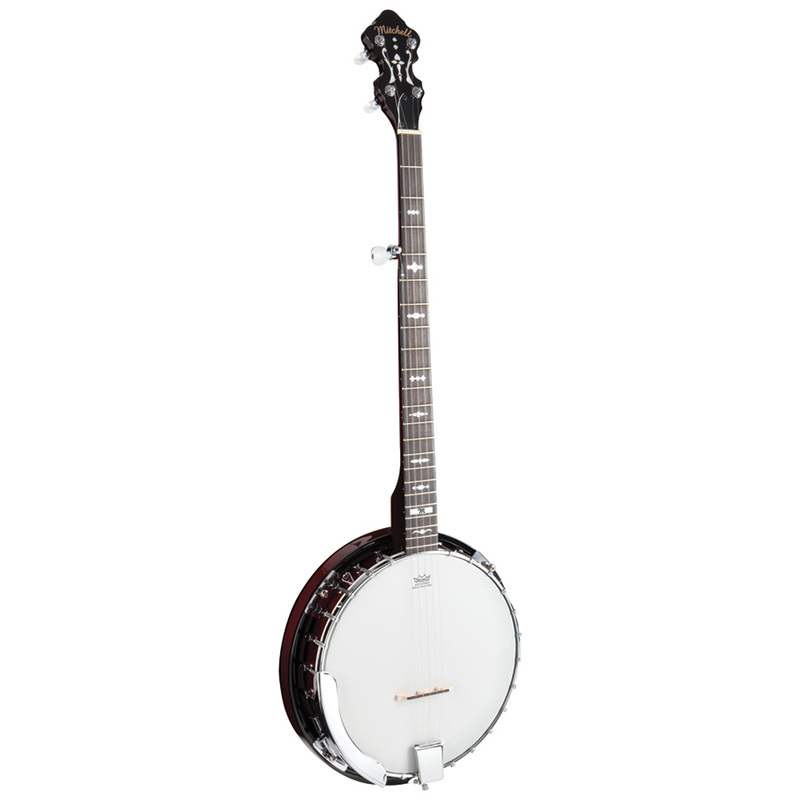 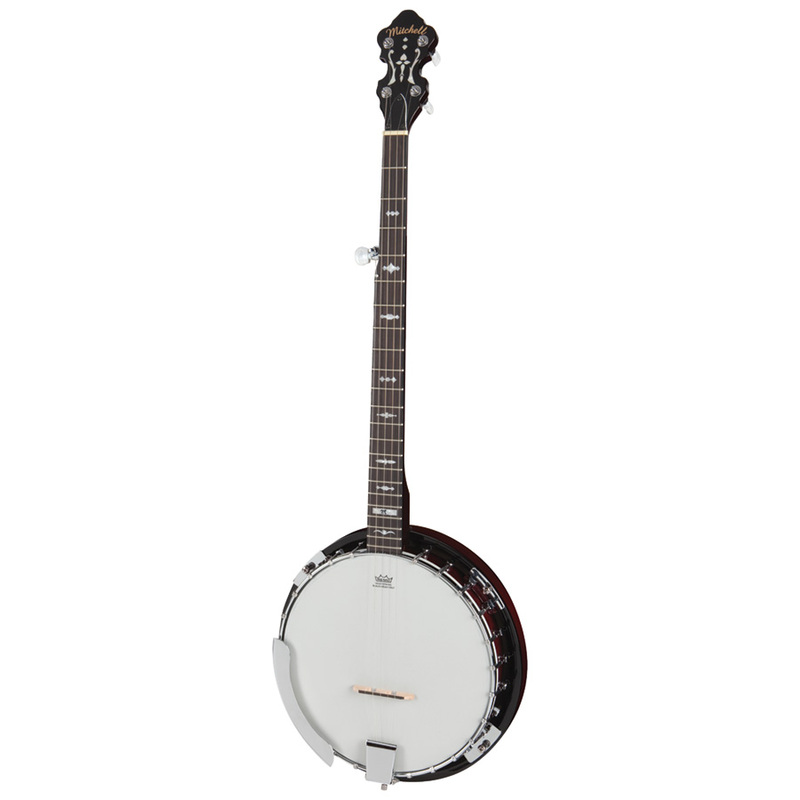 The deluxe Mitchell MBJ200 5-String Banjo has all the features you would expect from a premium instrument, without the premium price tag. 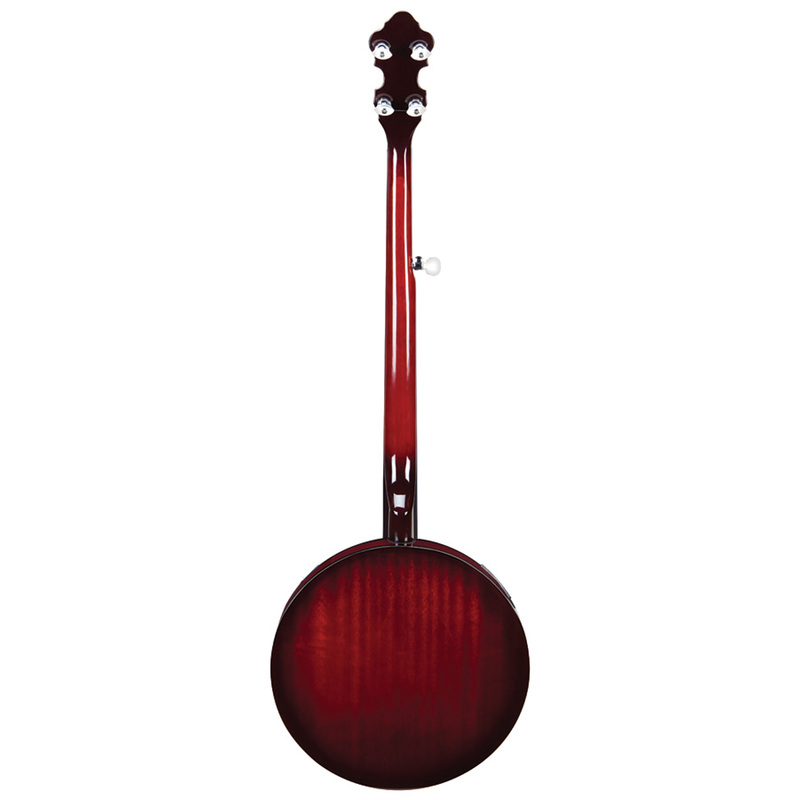 The mahogany resonator offers great tone, and the deluxe tuners ensure tuning stability. 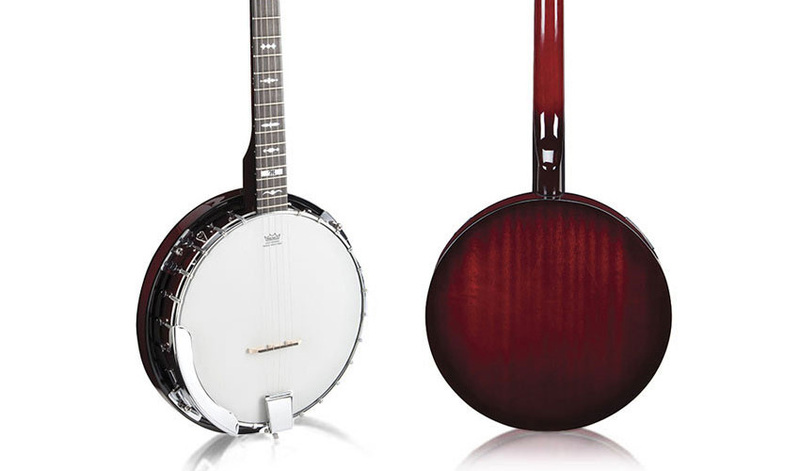 Stylish design elements include eye-catching fretboards inlay and beautiful headstock adornments.